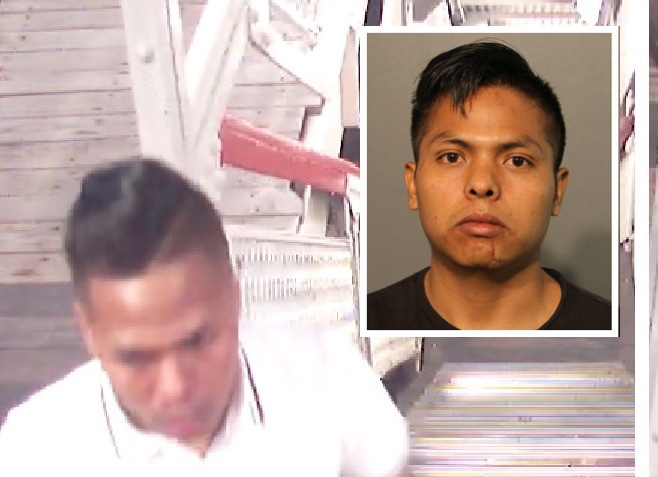 A man has been sentenced to three years in prison for seriously injuring a 49-year-old man by pushing the victim down the Sheridan Red Line stairs last summer. In exchange for pleading guilty to one count of aggravated battery-great bodily harm, two other felonies were dropped against Aldolfo Onofre. Judge Earl Hoffenberg recommended that he be admitted to the state boot camp program. Onofre, 24, was arrested last August after Chicago police released CTA surveillance images of the attack and asked for the public’s help in identifying the offender. “Within one hour, the detective had the offender identified,” the department said at the time. 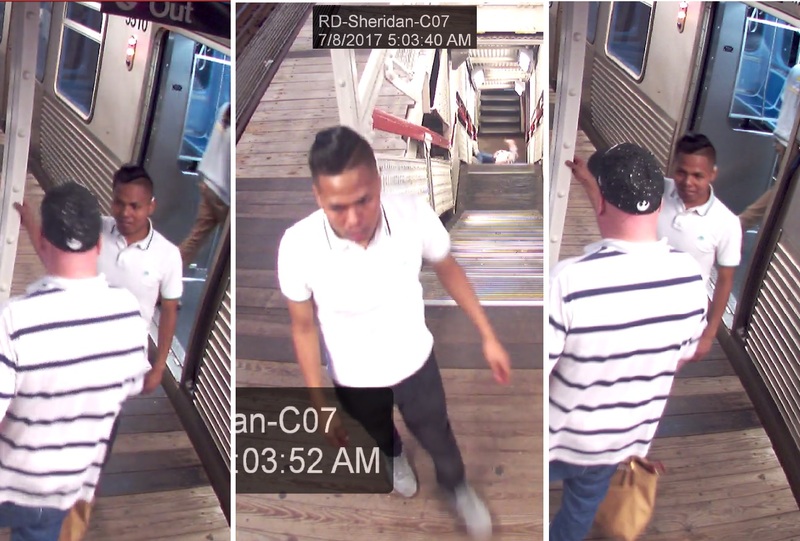 The victim suffered a broken pelvis, a fractured orbital socket, and multiple bruises and abrasions in the attack, police said. A shoplifter who was caught hiding in a Mag Mile dumpster with $6,600 worth of stolen Versace purses in October has reached a plea deal. Chaquan Birdie pleaded guilty to retail theft and was sentenced to two years of “second chance probation” and 30 hours of community service by Judge Catherine Haberkorn. Felony burglary charges were dropped in the plea deal. 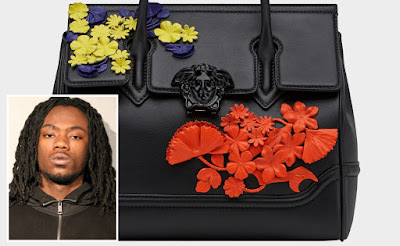 Birdie, 19, walked into the Versace store at 933 North Rush around 10:15 a.m. on October 30 with an accomplice. The other man punched a Versace worker as Birdie grabbed two handbags and ran out the door. Birdie then climbed into a dumpster behind a posh waxing studio at 34 East Oak, raising the interest of two nearby construction workers. The workmen found Birdie and detained him until cops arrived, police said. Two Versace purses—one priced at $3,650 and the other at $2,950—were recovered. Last autumn, Cook County prosecutors decided to drop all charges against Michael Spanks, who had been accused of stealing packages and possessing burglary tools in Lakeview. By December, Spanks was arrested again after an apartment rental agent saw him lingering inside a business that had been closed for the night. Cops who arrested Spanks the second time said was carrying a FedEx box filled with paper files; a power screwdriver; two Beats headphones; two Google Minis; two magic bullet blenders; an iPad; six envelopes containing keys; and two iPods. 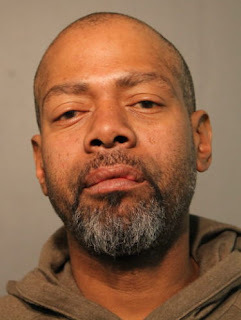 Investigators said he stole packages from a building in the 900 block of West Sheridan; more parcels from a building in the 800 block of West Sheridan; and an iPhone from a chiropractor’s office in the 3800 block of North Broadway. Now, Spanks has pleaded guilty to four counts of felony burglary. In a plea deal overseen by Judge Haberkorn, he will serve four concurrent six-year terms with credit for 149 days of time served. HIs parole date is set for December 2020.